Rockhopper is an AIM listed oil and gas company based in the UK with interests in the Falkland Islands and the Greater Mediterranean region. 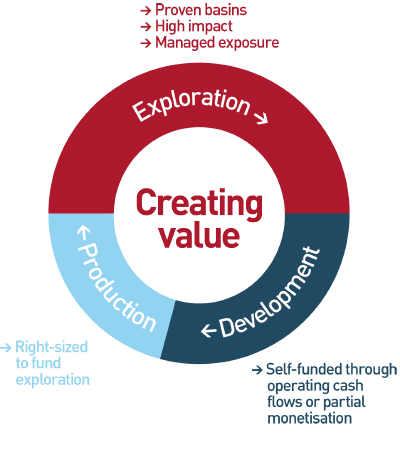 Rockhopper’s strategy is to build a well-funded, full-cycle, exploration led E&P company. The Company is the leading acreage holder in the North Falkland Basin with independently audited 2C oil resources, net to Rockhopper, in excess of 250 mmbbl. Through a series of acquisition and organic growth initiatives, Rockhopper has built a portfolio of production and exploration assets in the Greater Mediterranean which produced approximately 1,200 boepd during 2017 and is expected to generate material future exploration activity.